Questions Inspired by the Inaugural Address - Get your random questions here! 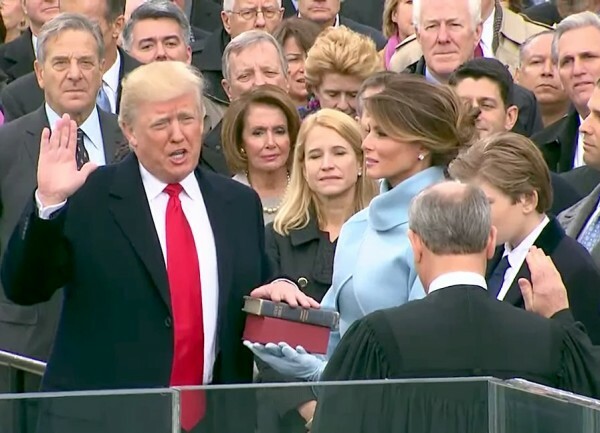 Do you view the election of Donald Trump as President of the United States as " transferring power from Washington, D.C. and giving it back to you, the people"? "For too long, a small group in our nation's capital has reaped the rewards of government while the people have borne the cost. " Agree or disagree? "Rusted-out factories [are] scattered like tombstones across the landscape of our nation." Agree or disagree? Do you agree that "an education system flush with cash but which leaves our young and beautiful students deprived of all knowledge"? President Trump said that "carnage" existed in the nation. Do you see carnage as occurring where you live? Do you believe that "America's infrastructure has fallen into disrepair and decay"? "Protection [i.e. trade policies that encourage Americans to buy American products] will lead to great prosperity and strength." Do you agree or disagree? Are you optimistic or pessimistic about a Trump presidency? Music:All-American Rejects-"The Future Has Arrived"
we were once a thriving "agricultural economy"
This page was loaded Apr 26th 2019, 1:55 am GMT.